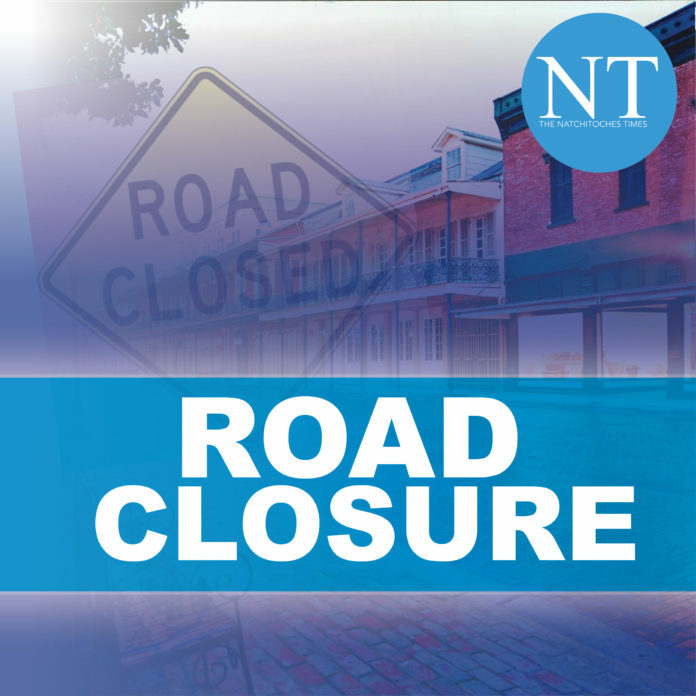 The Louisiana Department of Transportation and Development (DOTD) advises the public that LA 490, Chopin, Natchitoches Parish, will be closed at the Union Pacific Railroad track. The work is being done at milepost 3.643 and is on control section 835-08. The closures will start Sunday, Jan. 14 at 7 a.m. with a re-opening to traffic at 7 p.m. The closure is for Union Pacific Railroad to replace the cross ties thru the crossing. LA 490 To LA 1 North to LA 119 North to I-49 South to LA 490. The detour can accept oversized loads. The detour route will be identified with proper markings for the general public. All emergency agencies will be notified of the road closure.